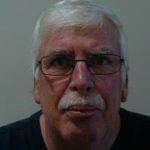 Larry W. Schultz of Kamloops passed away peacefully on Oct. 16, 2017 after a long courageous battle with cancer at the age of 63. He was born and raised in Vanderhoof B.C. Jan. 10 1954. Larry is predeceased by his father and mother, Merle and Marie Schultz. He leaves behind his loving wife Linda, still holding hands after 41 years of marriage, and his little buddy, the ‘Ozman’. He also leaves behind his brothers Terry (Bev), Rob, Brian (Sherry) and sister Charmayne (Jim), brothers-in-law and sisters-in law, Carl & Pat, Joan, Wendy & Rob, Les & Chris. Larry had many nephews and nieces who thought of him as a fun loving, caring Uncle. Larry’s working years began at age 13 on a farm, then to the ‘Royal Produce’ grocery store where he met Linda, his wife to be. 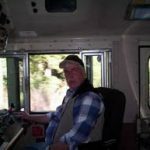 In 1972 he began his career with the CNR and retired as a locomotive engineer in 2009. Saddened to hear of Larry’s passing. I enjoyed having Larry as a friend, and I will miss him. Please know that you are in our thoughts and prayers at this difficult time. Larry had a great sense of humour and conversations were very interesting. We always really enjoyed our times with him at family gatherings or visiting over coffee.